Our very own Tot Mocs have landed! I have had it on my mind to make these baby shoes for over a year. There are so many versions of the baby moccasin out there now that the amazing Freshly Picked has exploded on the baby shoe scene. Some are good copies, while others use plastic vinyl and try to pass it off as the real deal. Celebrities has even helped make FP’s mocs famous, of course the shoes come with a celebrity price. We all know little ones go thru shoes very very quickly as they grow into and then out of them so shelling out $60.00 isnt always in the average family’s budget. So…. I’m going to test my skills. After lots of pattern testing and leather research, I finally pulled the trigger on my own version of the moccasin. I ordered this amazing lavender leather from OneWay52 and I am definitely going back for more. This design is very similar to the other baby booties I’ve gotten pretty good at sewing, just took some modifying. Calling this one a success. Now just gotta find tiny baby feet to put these on! Previous Post Finally a Finished Room! I love these! 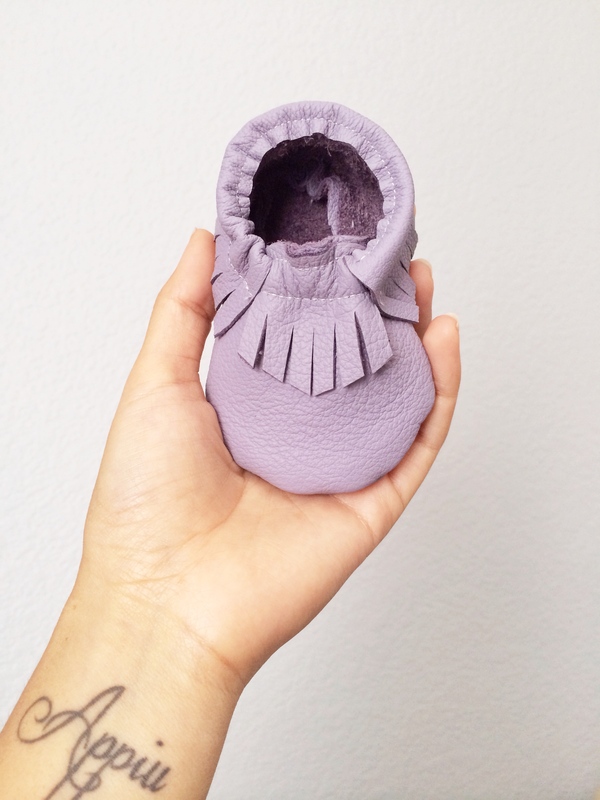 FP moccs are way too expensive for baby feet so I’m interested in making some. I’ve seen a lot of other ones that aren’t this cute. What pattern did you use? are you willing to share the pattern?